There is a reason why you started using drugs or alcohol. Sure, the first time might have been out of sheer curiosity. But after that, you probably realized that you liked the effect. Psychotherapy helps you pinpoint the itch that the drug scratched – and how to overcome it. This treatment isn’t something that just anyone can administer. It’s not at all like self-help or support group meeting attendance. A trained therapist works with you to build self-awareness. In simplest terms, you learn about yourself. In the process, you may learn that you’re dealing with a dual diagnosis. This term refers to the presence of an underlying mental health challenge such as anxiety or depression. This condition, in turn, may have led you to use drugs or alcohol as a form of self-medication. You wanted to overcome crippling anxiety problems or deep depression. The fix in the form of a drink or a pill looked attractive. For a little while, it even worked. Then the substance took over. It rewrote your brain’s chemistry; in the process, it led to an addiction that’s now consuming your thoughts. 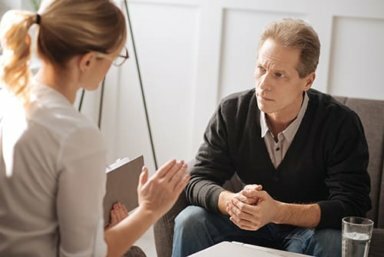 Psychotherapy involves modalities such as cognitive behavioral therapy for pattern recognition and dialectical behavior treatment. Both avenues provide you with the tools to make desirable changes in your behaviors. Moreover, they enable you to switch out unhealthy patterns with healthy ones. Within this framework of addiction therapy services, you immerse yourself in an environment where healing takes place. Psychotherapy becomes one aspect that influences your participation in the other modalities. For example, during some one-on-one meetings with a therapist you work on interpersonal skills. You then apply what you learn during group experiences. Goal setting is another vital part of sobriety. Plan for your life without the drug. Figure out ways that you’ll do things you’ve always wanted to try. For many, this means reconnecting with loved ones whom they pushed away during the months or years of drug abuse. If you’ve been struggling with anxiety issues, your treatment works alongside dual diagnosis care. You tackle dependency issues from both angles. It enhances your ability to overcome cravings. It also enables you to respond in healthy ways to triggers and stressors. It’s easy to learn about your opportunity to make better choices every day and then shelve the information. Don’t fall into this trap! Now is the time to break out of the vicious cycle of addiction. You don’t have to keep on using a substance that’s slowly destroying you. At Morningside Recovery, detoxification, rehab programs, and psychotherapy work together to help you strive for sobriety. Therapists are with you every step of the way. In fact, if you make a call right now, you can start treatment this same day. Dial 855-416-8202 now.